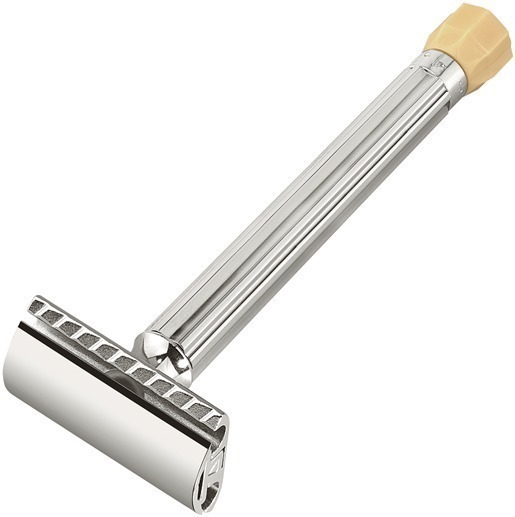 A classic design and polished chrome finish give the long handled Progress double edge safety razor by Merkur a clean, timeless look. The Progress is adjustable making it simple to customize your shave. With a twist of the knob at the end of the handle, you can raise or lower the pitch of the blade to suit your beard and skin type. The longer handle is made for a man sized grip.